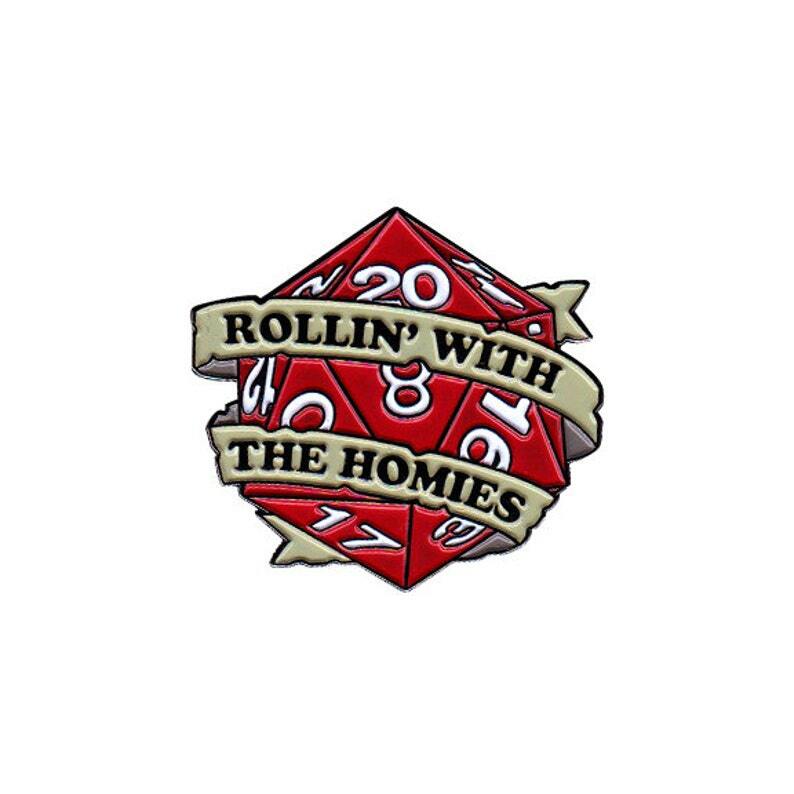 The perfect pin for those who are often in dicey situations. You turn the corner and a pin sits before you; not just any pin, but possibly the greatest pin of all time. Your eyes are almost blinded by the shimmer the black nickel plating casts as it catches the light of your torch. The pin seems to have some sort of magical magnetism drawing you near. Will you take arm and proudly wear it, gaining 10 style points? The choice is yours brave traveler!